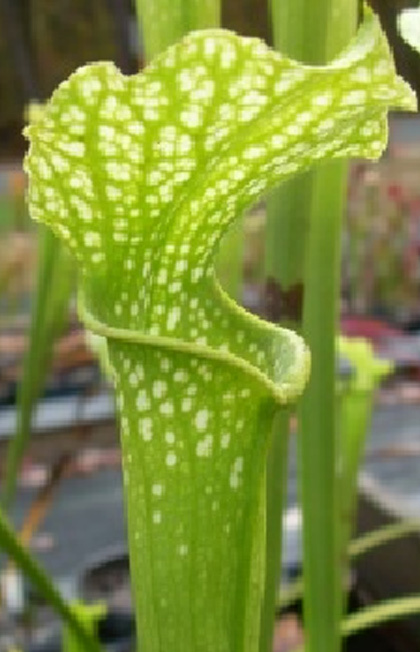 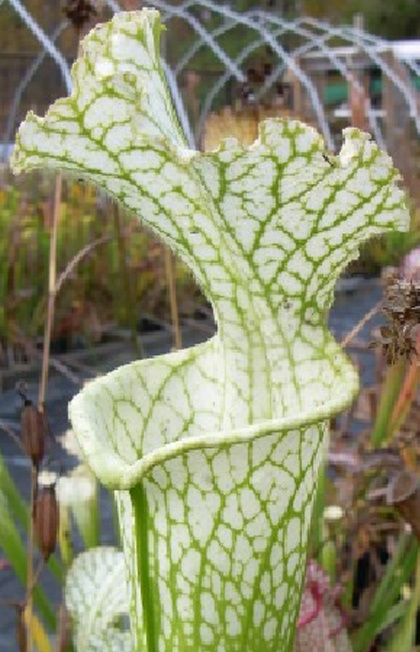 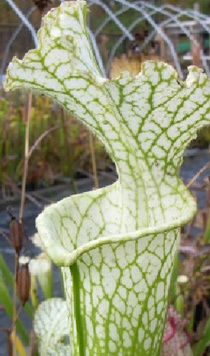 This plant was discovered by Bill Scholl in 1993 and is one of the most beautiful green mutants. 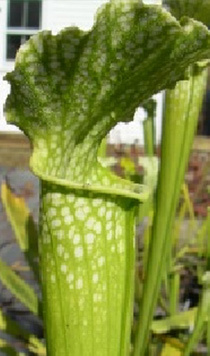 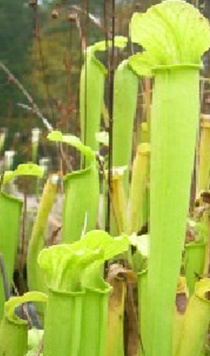 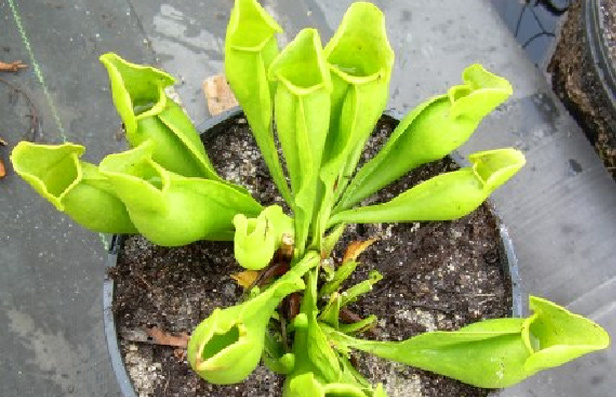 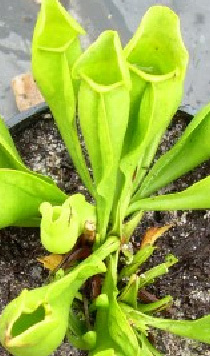 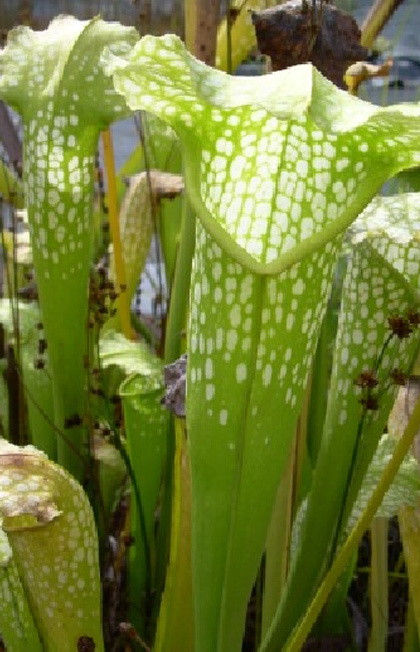 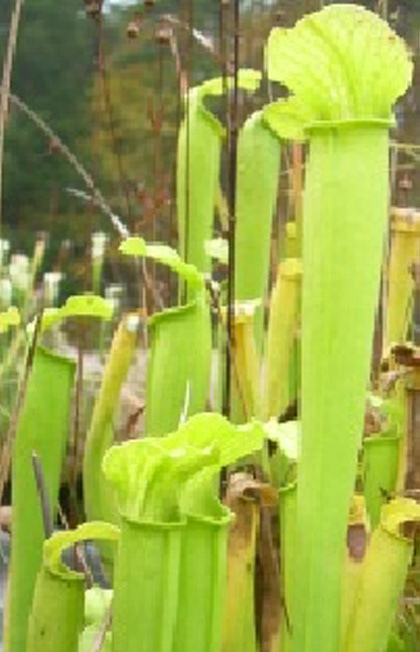 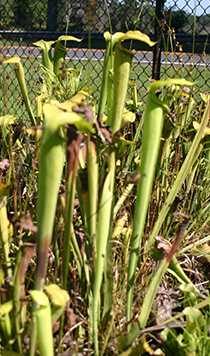 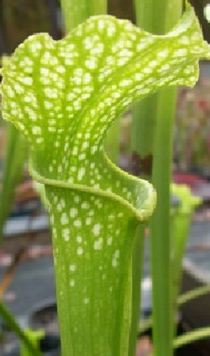 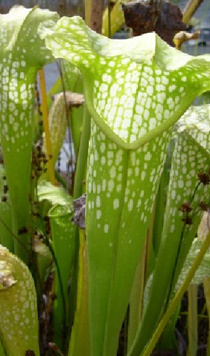 Flowers are clear yellow and pitchers can reach 2.5 feet in height. 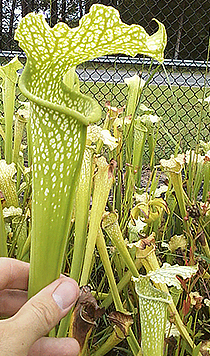 Funds from sale of this plant go to the Joseph Pines Preserve account per the wishes of Mr. Scholl. 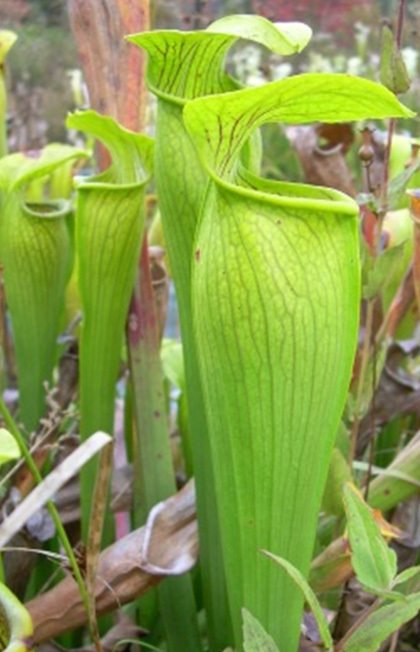 Green Monster is a cross between the an-thocyanin-free mutants of S. leucophylla and S. minor. 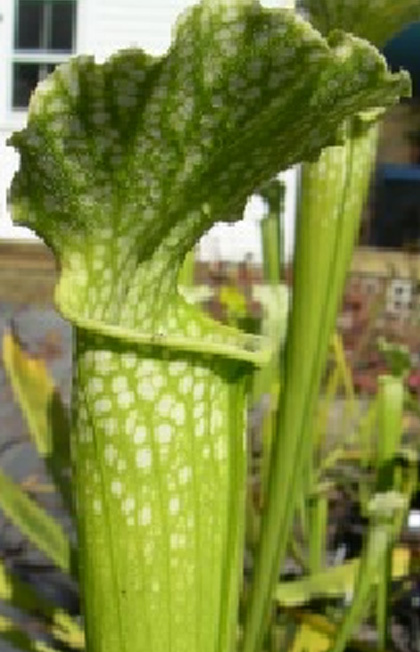 Created by Bill Scholl.